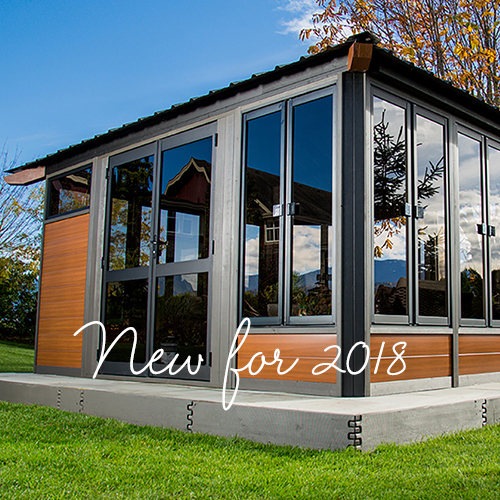 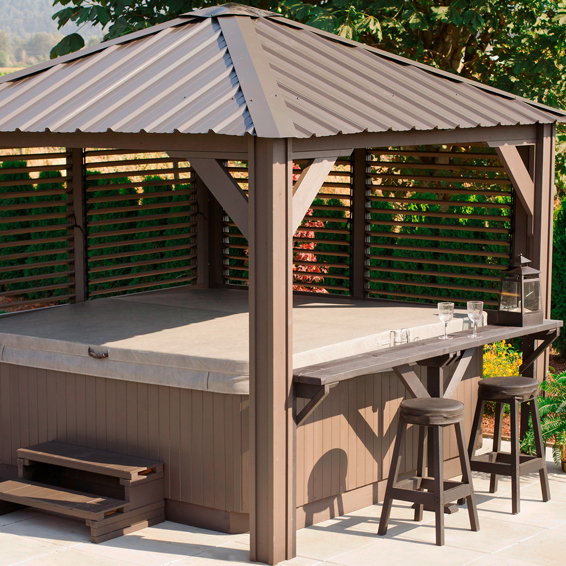 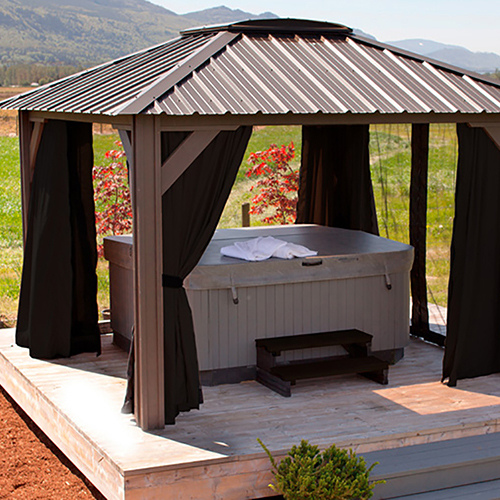 The Jasper gazebo from Visscher will become your definitive spot this summer to create incredible memories in this 11′ x 11′ haven. 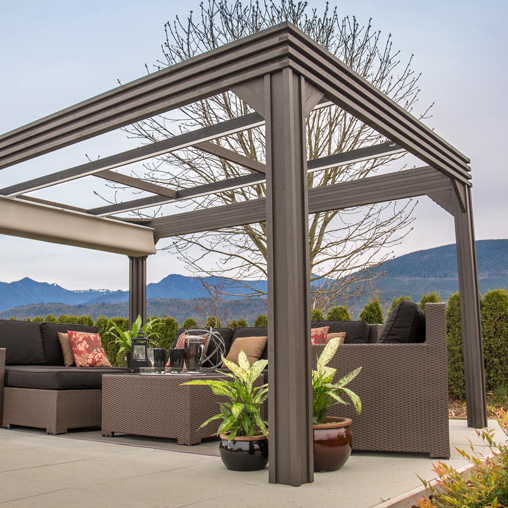 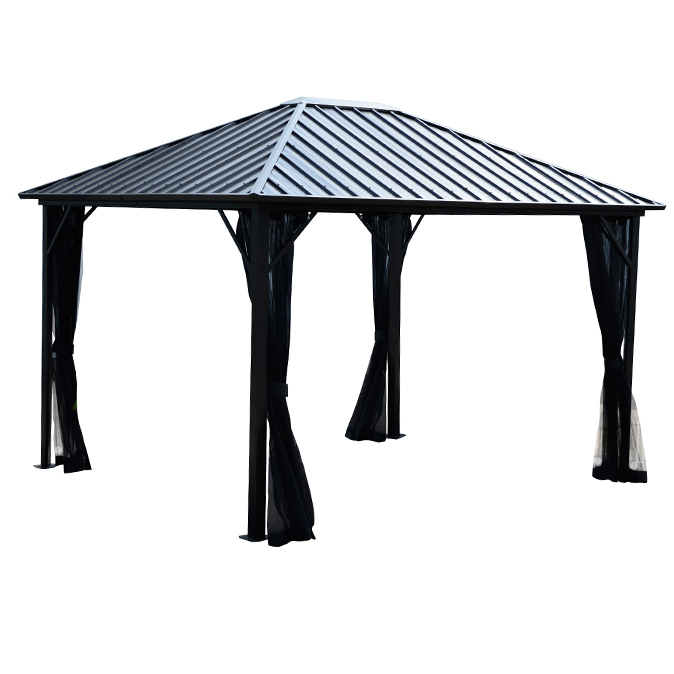 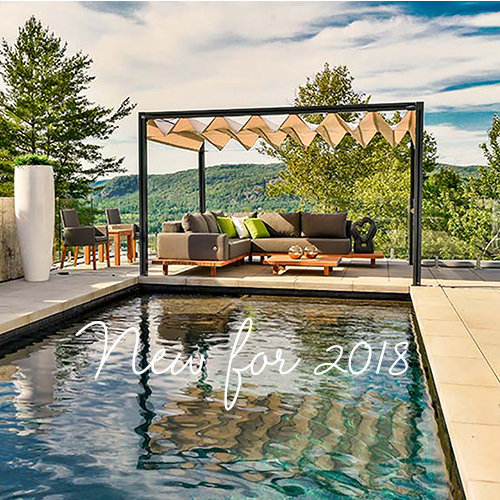 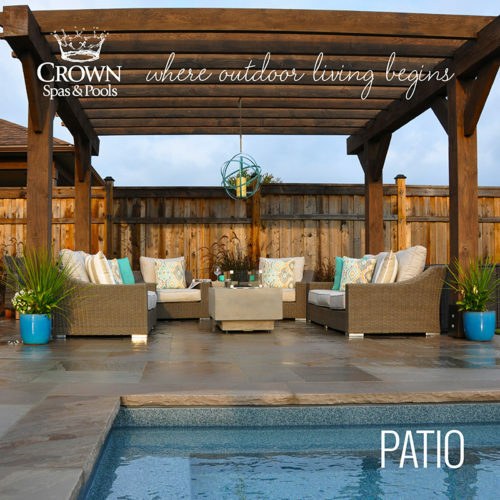 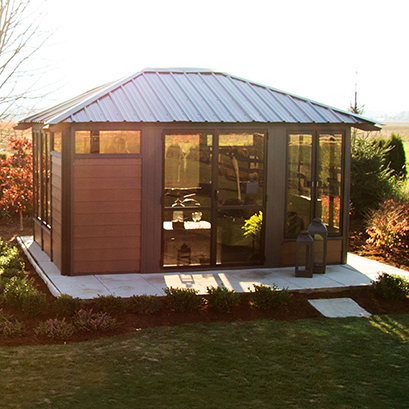 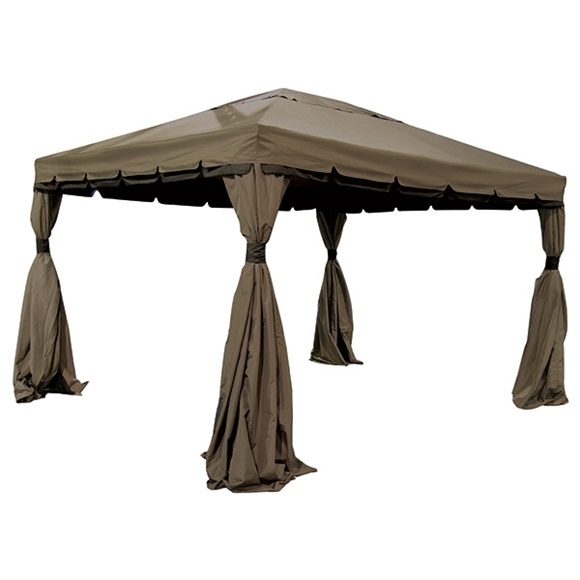 This elegant and refined outdoor shade and cover option is a four season shelter that’s been constructed with SPF wood sourced from Canada, and a steel galvanized roof. 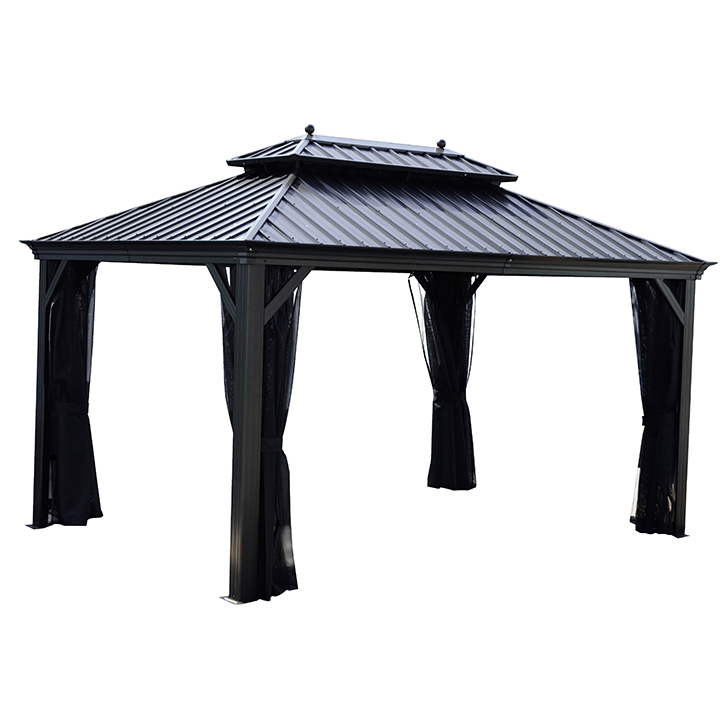 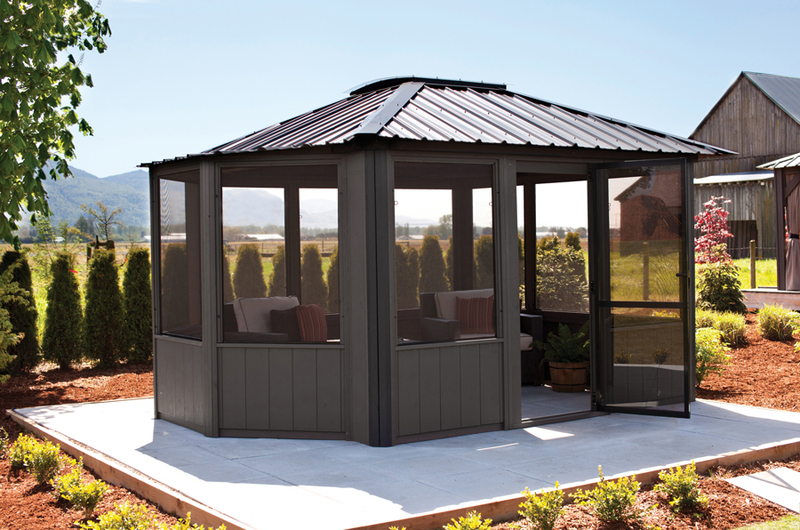 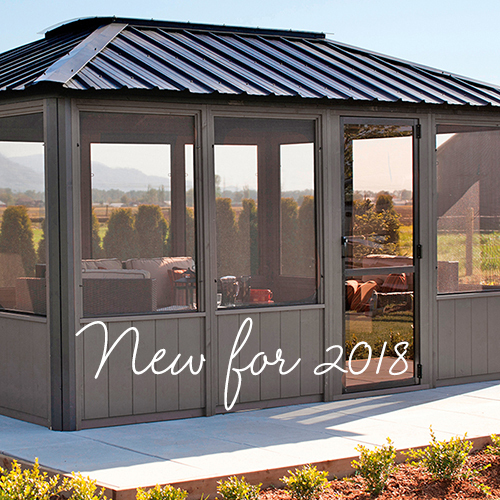 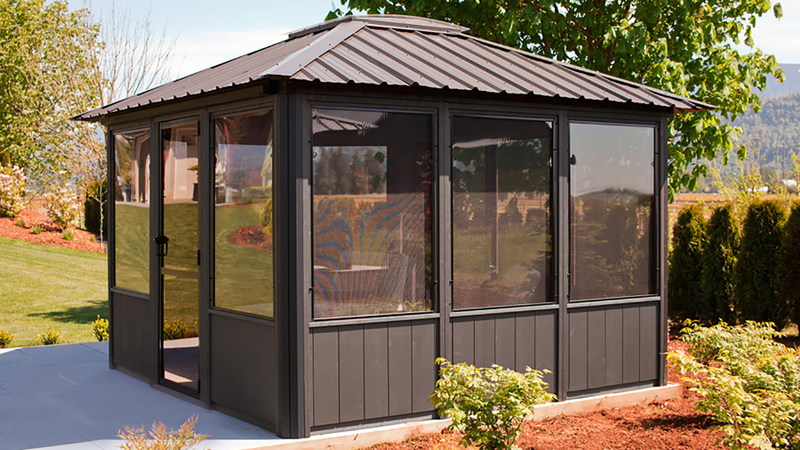 With the Jasper gazebo you’ll spend more time outdoors with friends and family under the sloped style steel roof that features a 43” x 43” skylight to bring the natural light into this conveniently covered space. 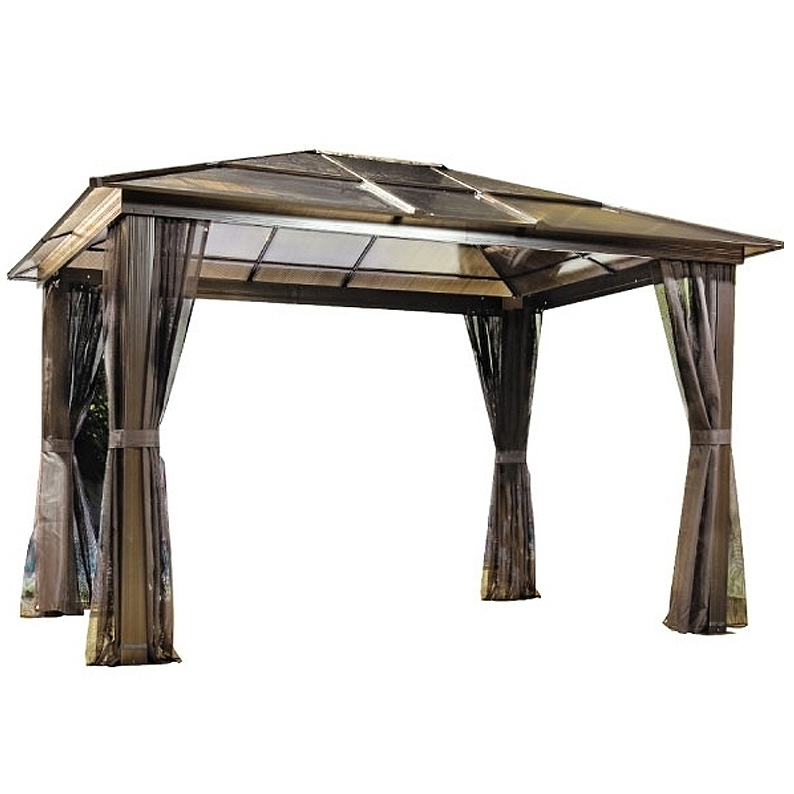 You’ll enjoy 360 degree views thanks to the 11 windows that surround the entire gazebo.